The Canadian Navy ships docked in St. John's will be heading out Friday for an annual Arctic training mission dubbed Operation Nanook. The operation will focus on two scenarios, said Lt.-Gen. Walter Semianiw. One will be a major marine disaster, and the other will be a major air disaster. 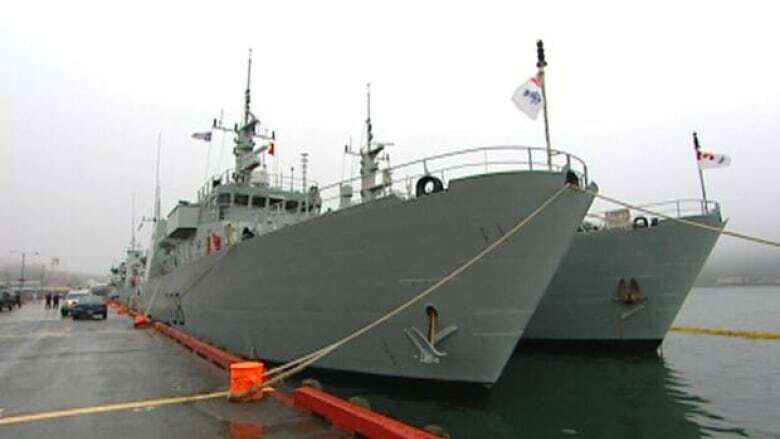 The exercises also involve the U.S. Coast Guard, Canadian Coast Guard, and Danish military, as well as assistance from the RCMP and other forces. "It's very much a team effort," he said, and also a large operation. "It's a big exercise from a Canadian Forces perspective," he said, with 1,000 Canadians taking part in the operation. While this sort of operation could be done anywhere, Semianiw said they chose the Arctic because of the difficulties of working in the high north, with Semianiw noting that if they can successfully do operations in the Arctic then they can do them anywhere in the world. While the rescue simulation will test the military's search and rescue capabilities, it will also be a show of Canadian sovereignty over the Arctic. "You need to do it because the north is Canada's north," said Semianiw. But the question of Arctic sovereignty is one that his military peers in other countries don't talk about. In fact, it's not even an issue within military circles, he said. "We're friends, but we may disagree on some issues," he said. The Russian military won't be participating in this exercise, and while Russian research vessels have been working in the Arctic, Semianiw said they haven't seen military vessels in the area. "We haven't seen their military there for a while," he said. "We do pay attention to who's in the North. We have what we would call domain awareness about who's in the north, when they're in the north, what they are doing there but from a Russian perspective, haven't seen them." For Semianiw, St. John's is a great place to start from, for the journey to the Northwest Passage. "It is the ideal staging base to sort of kick off," he said.